The Maltese Islands boast over 300 days of sunshine. Malta is just a short three-hour flight away from the UK. Visitors can travel from 19 regional airports through UK & Ireland via major airlines including Air Malta, EasyJet, Ryan Air Thomas Cook and British Airways. The Maltese are known for their warm, friendly and generous hospitality; guests are welcomed with open arms. The Maltese Islands are steeped in culture and heritage from the various cultures that have occupied the archipelago over the centuries; leaving behind a marriage of styles and traditions. This legacy, unique in the Mediterranean, is reflected in the country’s national architecture and collections. The Megalithic Temples of Malta (Ġgantija, Ħaġar Qim, Mnajdra, Skorba, Ta’ Ħaġrat and Tarxien) rank amongst the earliest free-standing stone buildings in the world, constructed between 3600 BC and 700 BC. The two temples of Ġgantija on the island of Gozo are notable for their gigantic Bronze Age structures. The Ġgantija Temples were created 1,000 years before the famous Egyptian pyramids of Giza. Each monument is a unique architectural masterpiece and a witness to an exceptional prehistoric culture renowned for its remarkable architectural, artistic and technological achievements. The Ħal Saflieni Hypogeum, discovered in 1902, is found in the town of Paola located in Valletta. The prehistoric monument, in use from 4000 BC to 2500 BC, was previously a sanctuary as well as an underground cemetery which originally contained the remains of 7,000 individuals. The ‘labyrinth’, as it’s often referred to, is made up of three floors consisting of a series of elliptical chambers. Access to the historical site is limited to ten people per tour, there are six tours per day and just two of these are bookable on the day. 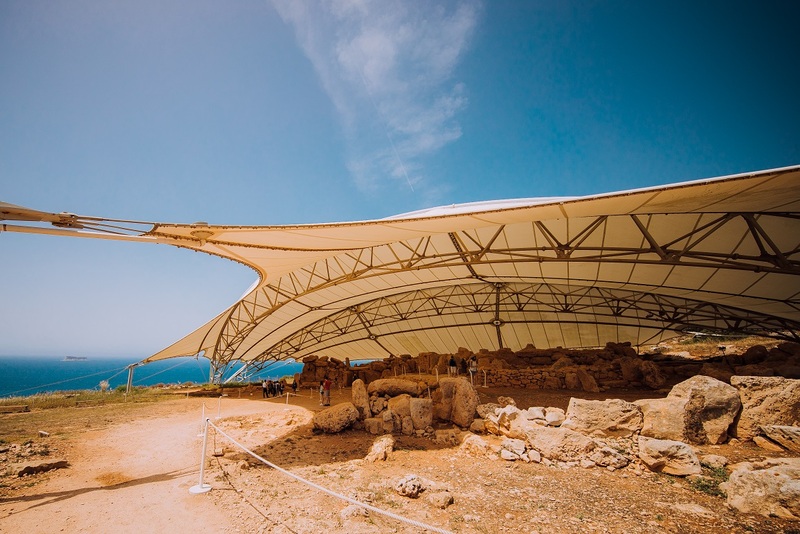 It’s recommended to book tickets at least a month in advance online to ensure you visit this incredible site whilst exploring the Maltese Islands. Valletta, Malta’s capital, is a fortified Renaissance city located on a hilly peninsula between two of the finest natural harbours in the Mediterranean; the Marsamxett Harbour and the Grand Harbour. The Knights of St. John conceived and planned the city using a uniform grid plan within fortified and bastioned walls. Valletta is home to over 320 historical monuments including St John’s Co-Cathedral, Grandmaster Palace, Manoel Theatre and Fort St Elmo, all within an area of 80 ha; making it the most concentrated historic city in Europe. The city, abundantly rich in stunning architecture, boasts enchanting gardens including the Upper Barrakka Gardens, Hastings Gardens and the Lower Barrakka Gardens. St. Paul brought the Christian faith to Malta in 60 AD; the Maltese are among the oldest Christian civilisations in the world. There are over 360 churches, chapels and cathedrals throughout Malta, making the islands ideal for religious pilgrimages. 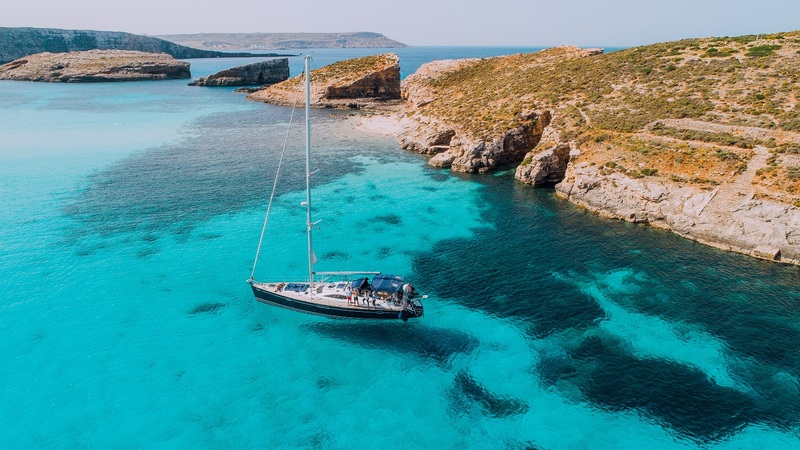 Malta’s two sister islands Gozo and Comino are only a short 20-minute ferry ride away, but provide a uniquely different escape. Surrounded by the turquoise Mediterranean Sea, these islands are filled with secluded lagoons and caves, traditional villages and picturesque walks. Malta, Gozo and Comino offer an abundance of adventure activities. The topographical landscape boasts rock-climbing, mountain biking and trail running whilst the azure waters offer snorkelling, kayaking and surfing. The enticing Mediterranean Sea - boasting warm water and excellent visibility all year round - calls to scuba-divers. The Maltese Islands consistently rank as one of the top three in the ‘Best Diving Destination in the World’ category at the Diver Magazine Awards, offering an array of unique dive experiences with an abundance of reefs, caves and wrecks to explore. The Islands also offer a breadth of dive sites for all levels. 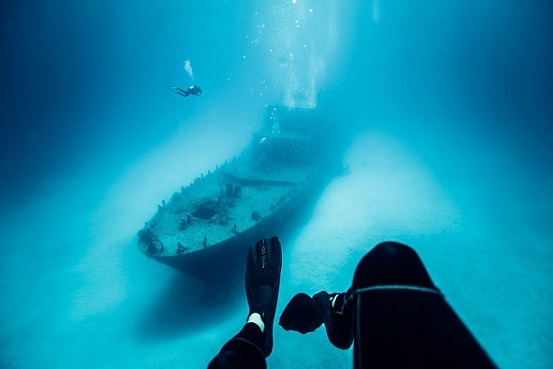 Our top picks: the P29 shipwreck; a former minesweeper and patrol boat, the Santa Maria Caves; fascinating cave systems at the north of Comino and the Blue Hole; one of the most popular dive sites in Gozo. Malta is a night owl’s dream, playing host to a number of top music events and festivals throughout the year. The liveliest areas for partying are Paceville and Bugibba which are filled with indoor and outdoor clubs and luxurious venues. With Malta’s warm climate beach and boat parties are also very popular during the hot summer nights. The flavour of Maltese cuisine is the result of a 7,000-year relationship with the many civilisations who have occupied the Maltese Islands. A tantalising melting-pot of cultures including the Sicilians, Romans, Spanish and French have influenced the unique blend of Maltese cooking. Visit www.maltauk.com to download our Gastro Trail map to view the top places to eat across the Maltese Islands.